The Ohio River winds its way for almost a thousand miles through Pennsylvania, Ohio, West Virginia, Kentucky, Indiana, and Illinois. The river was the site of many Native American settlements, later became the boundary between European and Indian territories, and served as a major boundary between free and slave states. Designer Rusty Theresa Morris was inspired by the sinuous path of the Ohio, represented here by the lovely twisting cables. 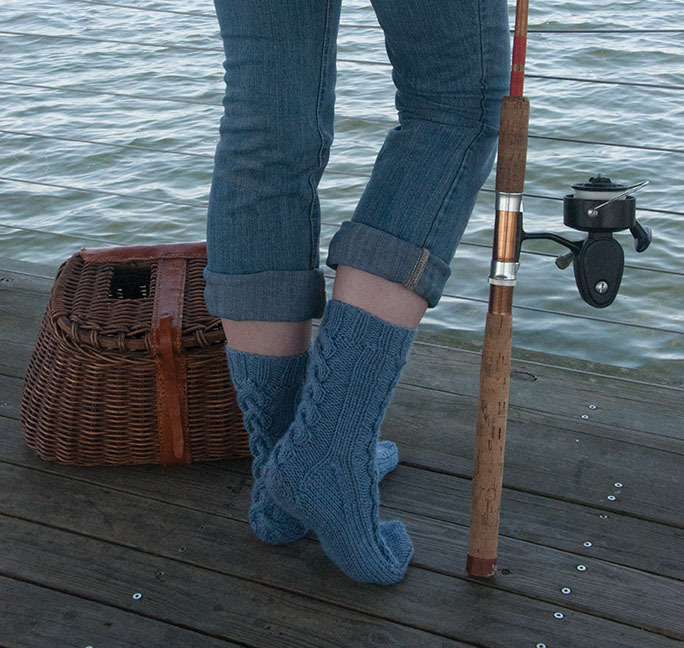 Knit in a cozy worsted weight yarn, these socks knit up very quickly as well.